May events include a Cinco de Mayo celebration, speeches from curators, a humorous storyteller and more. The Tigard Library will kick off the month of May with a Trivia Night at Tigard Taphouse at 7 p.m. Tuesday, May 1. Participants will enjoy an evening of friendly competitive fun, and winners will enjoy prizes donated by Tigard Taphouse, 9230 S.W. Burnham St.
At 7 p.m. Wednesday, May 2, storyteller Geraldine Buckley will dazzle the audience with her inspiring and hilarious true stories for adults. Participants will learn how Buckley, a British-born convent school girl, became a chaplain at the largest men's prison in Maryland. This event is part of the annual WCCLS Art of the Story festival at WCCLS member libraries, running through Saturday, May 5. The library will celebrate Cinco de Mayo with a Mexican Tin Art Craft at 3 p.m. Saturday, May 5. Participants will create colorful wall art inspired by Mexican folk art hojalata. Supplies will be provided. Registration is required and people can call 503-718-2517 to register. Mount Hood Museum curator Lloyd Musser will share the history of Mount Hood's Steiner Cabins at 7 p.m. Wednesday, May 16. From 1928 to 1953, Henry Steiner and his family built about 100 vacation getaways by hand on wooded land around the Pacific Northwest. Musser will display photographs of Steiner's log cabins and their unique architectural features. 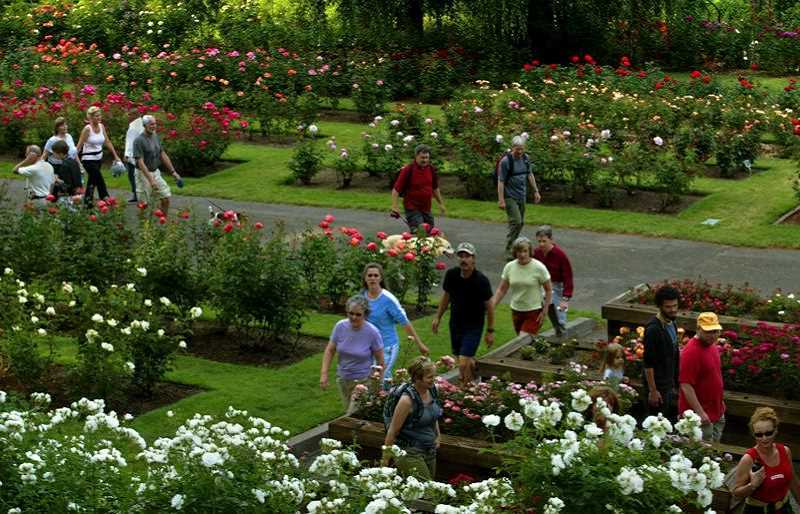 Harry Landers, former curator of Portland International Rose Test Garden, will present a program at 2 p.m. Sunday, May 20. Landers will discuss the behind-the-scenes work necessary to create the world-class garden in Washington Park, home to more than 10,000 rose plants. All programs, except Trivia Night at Tigard Taphouse, will be held in the George and Yvonne Burgess Community Room. The Friends of the Tigard Library generously sponsors several library programs. For more information, log on to http://www.tigard-or.gov/programs/adults.php or call 503-718-2517.